The objectives of the Society are the collection and preservation of rolls, records, books, and other documents relating to the War of 1812; the encouragement of research and the preservation of historical data, including memorials to patriots of that era in our national history; the caring for the graves of veterans of the War of 1812; the cherishing, maintenance and extension of the institutions of American freedom; and the fostering of true patriotism and love of country. 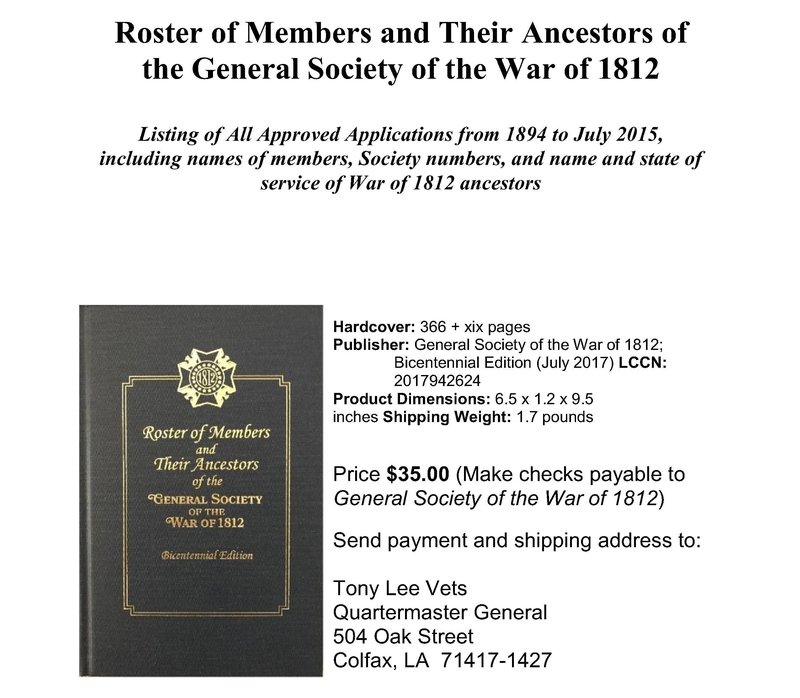 In carrying out these objectives, the State Societies hold meetings for their members and guests at which programs relating to the War of 1812 and intelligent patriotism are presented. Over the years, the membership has been fortunate in attracting gentlemen of high caliber, intelligence, and gracious demeanor. The General Society and its affiliated State Societies are sensitive to the high ideals espoused by our Founding Fathers and they feel the duty that ever vigilant defense of our nation and its Constitution entails.